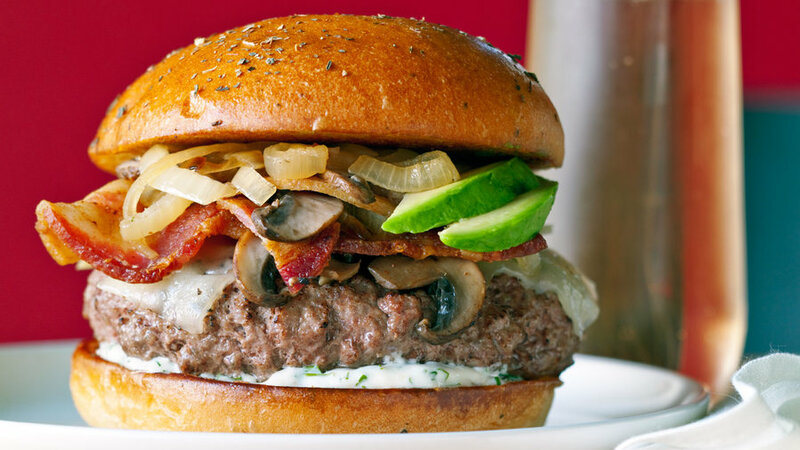 Brioche buns Good sparklers counter the richness of eggy, buttery bread. Avocados Hard on most grapes, avocados have few wine friends. Sparklers make them work. Applewood-smoked bacon High-acid sparklers are a natural for salty foods. Add smoke to the food, and you link to the earthy side of the wine. Caramelized sweet onions Put a little char on “melted onions,” and the sweet fruit in the wine will pop. Sautéed mushrooms Mushrooms are a Pinot’s best friend. Gruyère cheese Its nuttiness pulls out the earthy lees-iness of a Pinot sparkler. Herbed horseradish mayonnaise Chase the sinus-clearing root with bubbles, and all the herbs and lemon in the sauce will team up with the herbal, citrus side of the wine. Gruet Blanc de Noirs (New Mexico; $14). Dancing with wild strawberries, bright cherries, and creamy citrus, with a puckery edge of grapefruit and intriguing herbs. 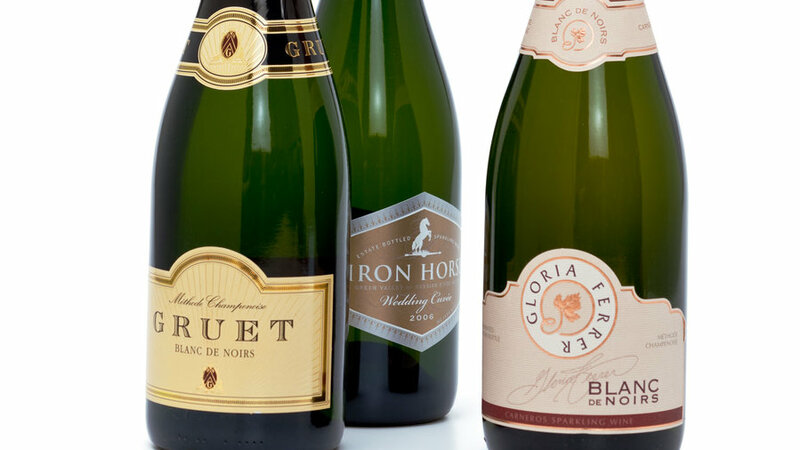 Gloria Ferrer Blanc de Noirs (Carneros; $20). A little dark and loamy under red fruit spiked with zesty citrus. Iron Horse “Wedding Cuvée” 2006 (Green Valley of Russian River Valley; $38). An effervescent mix of green apple, grapefruit, and tart red fruit—even hints of cranberry—softened by pear and a gentle yeastiness. Marinara sauce Sweet but acidic tomatoes need a fruity, high-acid wine, like juicy Grenache. Caramelized sweet onions Char pulls out the smokiness in Rhône grapes. Grown here instead of France, they offer a fruitiness that handles the sweet onions. Provolone Most cheeses are a little tough on red wines, but provolone goes easy, contrasting nicely with the brightness of the wine. Roasted red peppers Sweet and vegetal at once, peppers match both the fruit and the common herbal, underbrush-like character of Rhône blends. 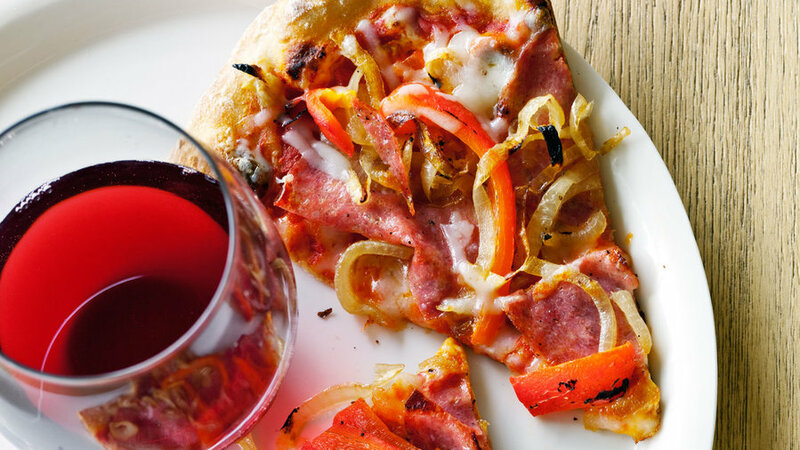 Sopressata Spicy cured meat calls for a fleshy, peppery red; Syrah delivers the former, Grenache the latter. 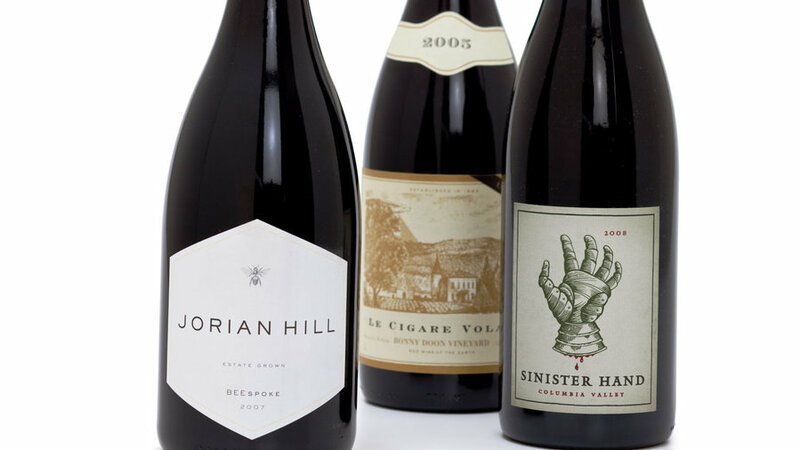 “Sinister Hand” 2008 by Owen Roe (Columbia Valley; $24). A complex, dark-fruited wine with layers of mocha, tobacco, and underbrush. Bonny Doon Vineyard “Le Cigare Volant” 2005 (California; $32). Brooding and dark-souled; black pepper, olive, tobacco, and earth underlie black cherry, mocha, and red licorice. Jorian Hill “Beespoke” 2007 (Santa Ynez Valley; $40). Elegant, with juicy black cherry flavors, a grind of black pepper, and hints of violets. Ricotta Tangy cheese calls for a high-acid white (Sauvignon Blanc) with enough sweet fruit (Semillon) to seem tangy itself. Broccoli rabe Grassy, herbal Sauvignon Blanc is always a great choice for greens. Caramelized leeks More vegetal than onions yet sweet from caramel­ization, leeks almost mimic this wine blend. 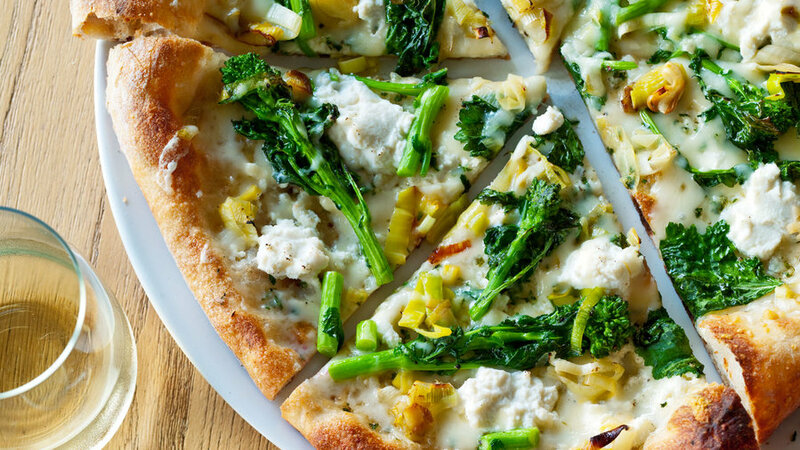 Fontina cheese Crisp white wine’s affinity to cheese clinches this pizza pairing. Chateau St. Jean Fumé Blanc 2008 (Sonoma County; $13). Bright citrus carries melon, pear, and honeysuckle, with a bit of stoniness. 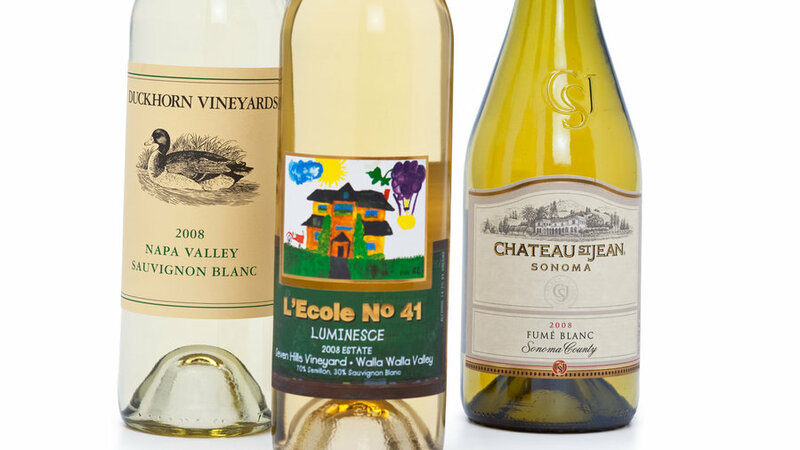 L’Ecole No 41 “Luminesce” 2008 Estate Seven Hills Vineyard (Walla Walla Valley; $19). A full-bodied, spicy wine that mixes vibrant limestone and grapefruit with pear, melon, and tropical notes. Duckhorn Vineyards Sauvignon Blanc 2008 (Napa Valley; $27). Fresh with lemongrass, green apple, and a gamut of citrus and rich with white nectarine and pear flavors.